periods of time. The compression system helps hold the back in proper alignment and reduces stress on the lower back. 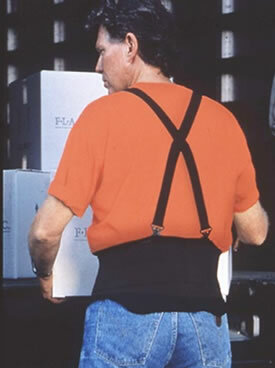 Design encourages correct posture and use of proper lifting techniques. material handling, and any task involving sitting, kneeling or bending.